Climb aboard for some of the coolest hot air balloon tours in NY, where you'll be treated to beautifully panoramic views of the great state. For the most amazing hot air balloon rides NY has to offer, let Fun New York be your go-to guide. See our complete list of hot air balloon rides in NY. Memorable Hot Air Balloon Flights in New York! When you book a flight with SunKiss Ballooning; you'll pass over wonderful farmlands of Warren, Washington, and Saratoga Counties of New York. Enjoy breathtaking views of the Adirondacks, Lake George, and Vermont's rolling hills; as you take part in a safe and fun experience that you will remember for a lifetime! The balloons fly early in the morning, as well as in the afternoon. All flight departures are dependent upon sunrises and sunsets. Choose from one of four pricing packages--all of which include a balloon flight and a post-flight champagne toast. The company prides itself on professional and courteous service, with experienced pilots and crew who adore the sport of ballooning. 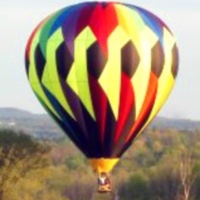 See their full page listing to learn more about Hot Air Balloon Rides in NY! One of the Top Ballooning Companies in NY! 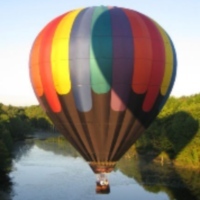 Fantasy Balloon Flights offers professional hot air balloon rides over such scenic areas of NY as the Lower Hudson Valley and the Lower Catskills. By flying with Fantasy you're taking advantage of over 29 years of ballooning experience, FAA-licensed commercial pilots, and a variety of great flight packages. As the East Coast's premier balloon company since 1984, Fantasy's hot air balloons have been featured on the Ellen DeGeneres Show and the Discovery Channel's Orange County Choppers. 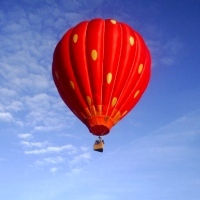 The balloon rides are absolutely ideal for birthdays, anniversaries, and other special occasions. If you're looking for that special gift to give to your special someone, gift certificates are available. The launch site is conveniently located within an hour of NYC and only 30 minutes from New Jersey, Pennsylvania, and Connecticut. Unforgettable Hot Air Ballooning in NY! 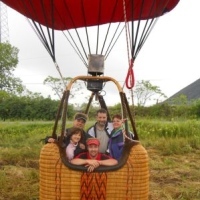 As the first hot air balloon ride company in New York State, Adirondack Balloon Flights features small group and private balloon rides in the spectacular Adirondacks. The rides are led by Phil Jackson, a pilot who boasts over 30 years of experience and has guided over 3,000 flights. Plus, you'll be flying on some of the newest and safest hot air balloons available! Experience magnificent views of the Adirondacks, Lake George, Saratoga Springs, and the Green Mountains of Vermont. The NY hot air balloon rides are perfect for anniversaries, birthdays, graduations, retirements, weddings, and even marriage proposals! Cherish an outdoor experience that you will remember forever with the help of Adirondacks Balloon Flights! Explore the Beautiful New York Skies! The American Ballooning Network allows you to explore the beautiful New York sky from 1,500 feet in the air! 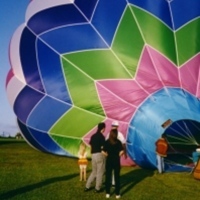 Choose from a full spectrum of ballooning packages. Most of the hot air balloon baskets can hold anywhere from 2-8 people, so feel free to bring your friends. 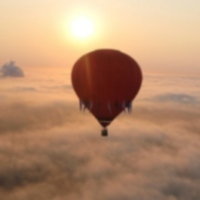 Or, for a more romantic ride, spend an hour floating over NY in a private balloon for two. Perfect for private or corporate events, you can also book tethered balloon rides. Contact the American Ballooning Network today to book your balloon ride today! 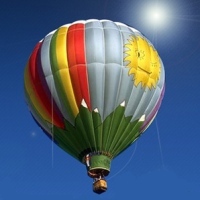 The ballooning professionals are available 7 days a week to assist you. Share your unforgettable ballooning experience with your closest friends and/or family by purchasing gift certificates, which are good at locations nationwide! 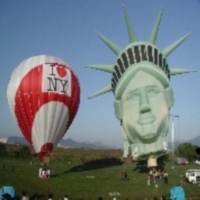 Affordable Balloon Rides in NY! 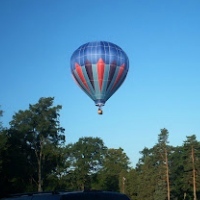 Enchanted Balloon Tours has many years of experience offering spectacular balloon rides over Orange County, New York. By taking advantage of one of the New York hot air balloon rides, you'll be in the hands of professionals with a passion for ballooning. Plus the company possesses a perfect safety record, a wonderful selection of balloons, and reasonable prices. Browse the website to view the company's array of pricing packages, including the exclusive hot air balloon flight for two; which is perfect for special occasions like engagements, anniversaries, and birthdays. Cancellations must be made with 72 hours notice, or you will be charged for the flight. Over 36 Years of Ballooning Experience! Celebrating over 36 years of flying over the scenic Hudson Valley, Blue Sky Balloons delivers some of the most fun and exciting hot air ballooning adventures in NY. Many customers have raved about the quiet, serene, and endlessly enjoyable rides offered by Blue Sky. The balloons are weather-sensitive and will only fly at sunrise or before sunset. You'll be informed 10 hours before your flight whether or not the weather is suitable for your ride. To reserve your flight today, fill in the brief form on the website and one of the company's representatives will get back to you as soon as possible. If you're interested in purchasing gift certificates, they're all valid for two years and express mail is available. Ride a Balloon over Niagara Falls! Have you ever wanted to ride a hot air balloon over Niagara Falls? Then, Balloons over Letchworth will make your wildest fantasies come to life! Launching from within Letchworth State Park in New York, the balloon rides will provide you with unique and spectacular views of NY's most amazing waterfalls and gorges. The prices are affordable, with special discounts for groups of 5 or more people. The FAA-certified pilot launches from the park 7 days a week, from May until mid-October. Weather-permitting, each flight averages between 45 minutes and an hour. Reservations for flights are only taken over the phone, so be sure call Balloons over Letchworth today! Great Ballooning Adventures in New York! Encounter a most extraordinary, high-flying adventure with Airborne Adventures Ballooning. Offering champagne flights 7 days a week; the company allows you to experience the one-of-a-kind thrill of floating over tree tops and skimming above corn tassels; as you catch glimpses of far-away horizons. Whether you're 8 or 80, you are guaranteed the adventure of a lifetime! 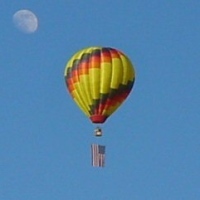 The pilot, Dwight Cramer, is FAA-certified and possesses an unshakable passion for ballooning. All flights are approximately 45-60 minutes long. During your ride you'll get to encounter the foothills of the Adirondacks and Catskills, distant cities of Utica and Syracuse, and numerous lakes and ponds. Be sure to keep your binoculars (and camera) handy! Explore Syracuse from a Whole New Perspective! Embark upon a peaceful, serene journey and discover New York from a completely new perspective, by booking a flight with Balloon Rides over Syracuse! 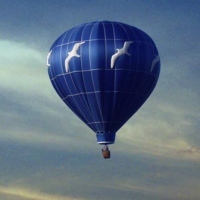 The NY ballooning company offers rides from mid-May through October. Over the years, the FAA-certified and insured pilots have flown thousands of passengers in the New York area. Since the balloons are weather-dependent, flights take place from sunrise up until two hours before sunset. The rides are great for engagements, weddings, and other special occasions. Perfect for media coverage and industry events, tethered balloons are available to rent for two to three hours in early mornings or late afternoons. NY Balloon Rides All Year Round! Flying balloons over Western New York since 2000, the Aurora Balloon Company hosts two flights a day all year round, when the weather permits. Soar over such stunning areas of NY as Aurora, Boston Hills, and Holland. On rare occasions, you can book a flight that kicks off from your own backyard! Following tradition, each flight ends with a champagne toast (non-alcoholic beverages are available upon request). If you're seeking the perfect gift for family members or your special someone; Aurora's gift certificates are ideal for birthdays, engagements, Mother's Day, Father's Day, Valentine's Day, anniversaries, retirements, weddings, and other special occasions. NY's Premier Balloon Reservation Company! 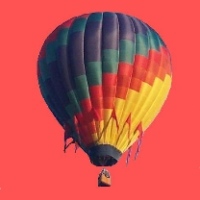 Your number one source for hot air balloon rides in New York, New York City Hot Air Balloons is the leading balloon reservation site in the state! The network's hot air balloon pilots are professional-grade and will make sure you experience an adventurous, invigorating, and safe ride in the skies. Fly over some of New York's most beautiful attractions! Be sure to bring your camera, as you'll stumble upon no shortage of great photo opportunities. 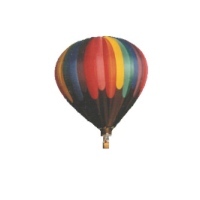 Find everything from standard balloon rides to romantic rides with your special someone. If you're searching for gift ideas; the company's gift certificates are perfect for birthdays, anniversaries, and other special occasions. Fly over NY's Beautiful Wine Region! 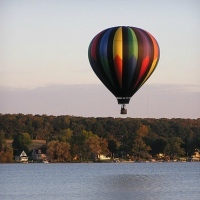 Enjoy hot air balloon rides in New York's beautiful Finger Lakes Region by reserving a flight with Liberty Balloon Company. 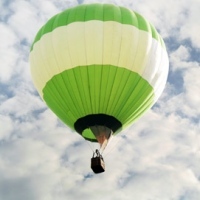 Each personal balloon ride accommodates groups of up to 7 people, but no more than 4 passengers are allowed per basket. Pick from a wide selection of flight packages and find one that best fits your budgetary needs. Witness the beauty, tranquility, and breathtaking views of New York's wine region; as you fly with experienced pilots. The region is rich with cultivated land, plush wooded areas, and spectacular lakes. In addition to balloon rides Liberty offers training, tether events, corporate promotions, and school assembly programs. Book a "Majestic" Hot Air Balloon Flight in NY! Experience incredible balloon rides in the Lake George, Glens Falls, and Saratoga regions of New York by escaping into the skies with Majestic Balloon Flights! Whether you're planning a balloon ride with friends, family, or for a special occasion; you are guaranteed an unforgettable aerial experience. Soar as high as 3,000 feet above the ground as you fly over rolling farmland and witness such animals as deer, hawks, and cranes. Photo opportunities will be aplenty! Flying season begins in April and last through November. Majestic offers two flights a day, one in the morning about an hour after sunrise and one in the evening about two hours before sunset. All balloon rides are weather-permitting and last approximately an hour. Fun Balloon Rides in NY! An experienced ballooning company in New York, Above All Balloon Rides opens you up to a whole new world. Glide over rolling hills. Descend into valleys. Float over waterfalls. Observe all types of exotic wildlife. Each ballooning adventure can last anywhere from 3-4 hours. Your ballooning package will include a pre-flight briefing, a balloon inflation (in which you are free to participate), 45-60 minutes of flight time, landing and balloon pack-up, and a champagne toast and cheese platter. The balloons depart from such sites as Jamesville Beach, Enders Road, Highland Forest, and the Cazenovia area. Since safety is top priority, all flights are weather-permitting. Gift certificates are available! Fly High with High Hopes! Savor a 360-degree panoramic view of the New York countryside from the basket of a hot air balloon by flying with the High Hopes Balloon Company. Scrape against tree tops. Wave to spectators down below. Keep your camera handy as you encounter deer and other animals scurrying through the woods! The chief pilot, Greg Livadas, has flown thousands of passengers in hundreds of flights. He's even flown in numerous balloon festivals, like the Albuquerque International Balloon Fiesta in New Mexico. Most of the flights take place on the weekend and the ballooning season lasts from mid-May through mid-October. Private charter flights for two are available, and are perfect for engagements and anniversaries. Explore Beautiful Southern NY from up in the Air! 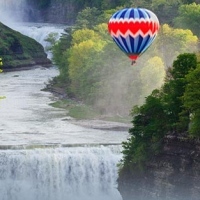 Offering one-of-a-kind hot air ballooning experiences in Southern NY, Southern Tier Balloon Tours grants you views of some of the most gorgeous scenery in the area. You're given the choice of departing from Broome County, Tioga County, or the Finger Lakes. The weather-permitting NY balloon rides are schedule twice a day, morning (at sunrise) and evening (a couple hours before sunset), 7 days a week. Each flight ends with a champagne toast and light snacks. Browse the website regularly to keep updated on promotional deals! All sales are final. Rescheduling within 72 hours of your flight date is prohibited, and doing so will result in cancellation of your ride with no refund. Balloon Rides and Tethered Flights in NY! 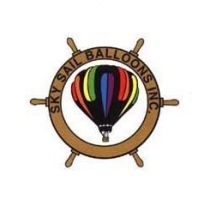 Founded in 1989, Sky Sail Balloons is the first commercial hot air ballooning operation in the Chautauqua County area. All pilots are FAA-certified. The balloons ascend to altitudes of 500 to 1,500 feet above the ground. The balloons fly in the evening, 7 days a week, and each flight normally lasts an hour. The primary flying season is from June through October, though the company operates (weather-permitting) flights all year round. All customers are encouraged to book their flights well in advance. Rides conclude with a champagne, or sparkling grape juice, toast. Tethered flights are also available 7 days a week. NY Balloon Tours led by Four Great Pilots! If you've ever dreamt about touching the stars or floating on the wind, Catskill Mountain Balloon can make your wildest adventures come true! The company launches balloons from sites in Hudson Valley, Cooperstown, and Oneonta. Whether you're anxious to fly on your first balloon or you're celebrating a special occasion, these New York balloon rides will suit all your needs. Each flight is led by one of four FAA-certified pilots. Michael D. Ranieri, has been flying for 11 years throughout locations in New York State, Arizona, Canada, and Japan. Award-winning, veteran pilot Russ Barber has been flying for over 40 years and once flew a balloon over the opening ceremonies of the Winter Olympics in Lake Placid. Alan Jones possesses over 29 years of experience, also having flown during the 1980 Winter Olympics. Becky Jones has 16 years of flying experience, and once had the pleasure of ballooning in Saga, Japan. Lodging and Balloon Rides in NY! A newly restored 1869 Victorian Cottage, the Balloon Bed & Breakfast offers you everything you need in a vacation getaway. Book a stay in one of the three cozy guest rooms, and then enjoy a pleasant hot air balloon ride. 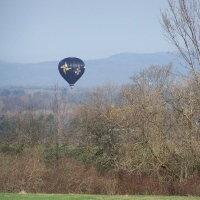 Fly your own hot air balloon or take a ride in one from the cottage. During one of the champagne hot air balloon rides in NY, you will be able to cherish the beautiful countryside as it slowly passes from under you. Fly over tree tops, sometimes catching views of deer and farm animals below you. After your hour-long flight, it's time for the traditional champagne toast with champagne, cheese, and crackers. 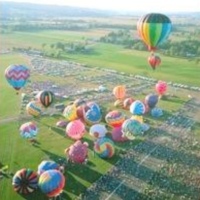 The NY balloon rides are perfect for weddings, anniversaries, family reunions, and corporate events. A High Flying Adventure over Central NY! 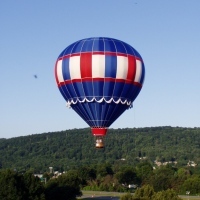 Fly over the beautiful Finger Lakes Region of New York with Sunset Adventures Balloon Rides. Let the breeze take you above streams, woods, tree tops, and farmland as you enjoy your amazing ride over Central New York. Don't be surprised to see a fox or a herd of deer break into a run! Each adventure begins an hour and a half before sunset, when the winds are gentle and light. The balloons accommodate up to 4 passengers. The flight itself takes approximately an hour, and will be followed by a champagne celebration. If you decide to cancel your flight, please do so at least 24 hours beforehand.